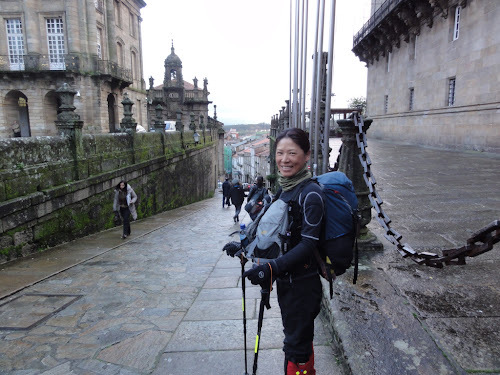 Having enjoyed our respite in Santiago it was now time to set foot to path once again. We are now off to Finisterre and Muxia. 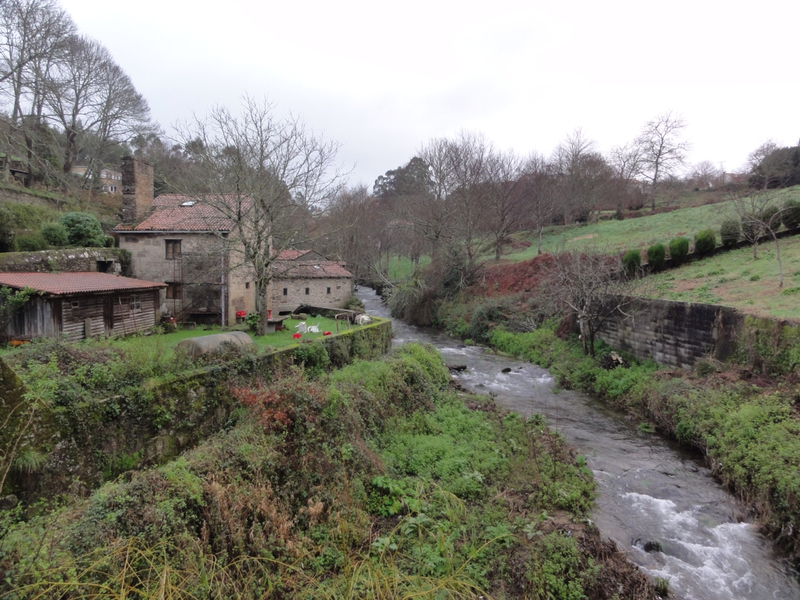 We have also committed to walking the Camino Ingles after the Finisterre/Muxia Caminos. As luck would have it (if you believe in luck) the weather improved and today’s walk was completed in dry and warm (almost hot) conditions. 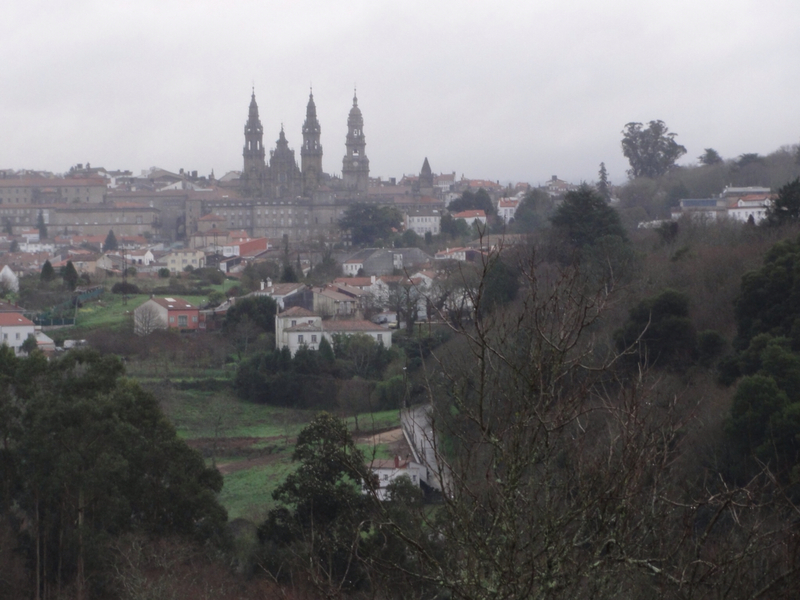 Temps were hovering around 53 F as we walked out of our hotel and onto the Camino. An earlier veil of fog had receded with the rising sun leaving tendrils of mist clinging lazily to the hillsides in the still morning air. 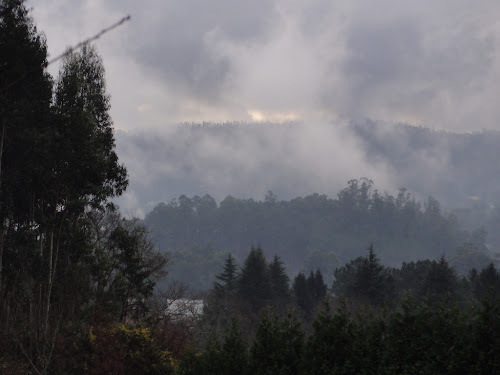 Santiago was stretching and awakening, with all its usual street noises to enliven the effort. Robin and I were just another couple of pilgrims slipping quietly from this scene and into the quietude of the nearby hills. As we walked along I noticed the city sounds becoming less distinct, with pleasant birdsong elegantly filling in where the mechanized melody of the city now paused for breath. In short the morning was utterly pleasant and growing more so as we moved further into the countryside. We had no company as we walked. 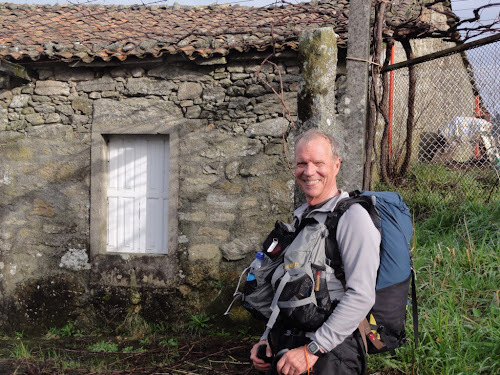 We encountered one pilgrim returning from Finisterre to Santiago. He said he had spent last night in the Negreira albergue with only one other pilgrim who was heading west. There are a few hills that had to be climbed today, and in the more prevalent afternoon sunlight I found myself peeling off to a t shirt for the first time since we left St. Jean at the end of December. 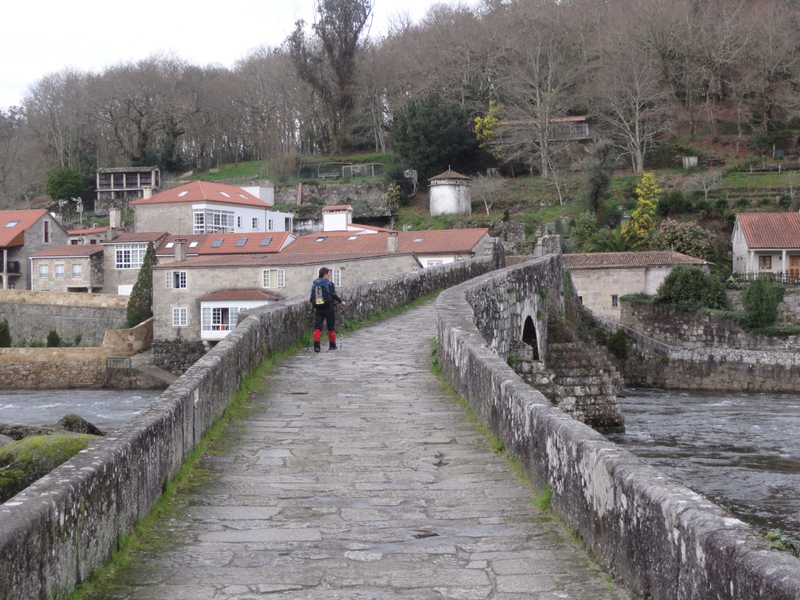 A quick check of my trusty REI thermometer, swinging from my backpack, showed 60 F. Not bad for February in Galicia. Robin and I were both happy to be back on the Camino, particularly under such ideal conditions. We enjoyed the day’s walk and before we knew it we were climbing the Main Street in Negreira heading for the Gadis supermarket to pick up something’s for later on and for breakfast. We learned that it is easier to do this than to walk the 2km RT back to town later on. We dragged our shopping bags into a bar we had been introduced to on our previous pilgrimage, the Imperial. It is run by a very nice Englishman named David. The food is great and David is very hospitable. Turn right at the first main crossroads (left goes to the albergue) and it is the first bar on the left, just past some government building (flags flying). 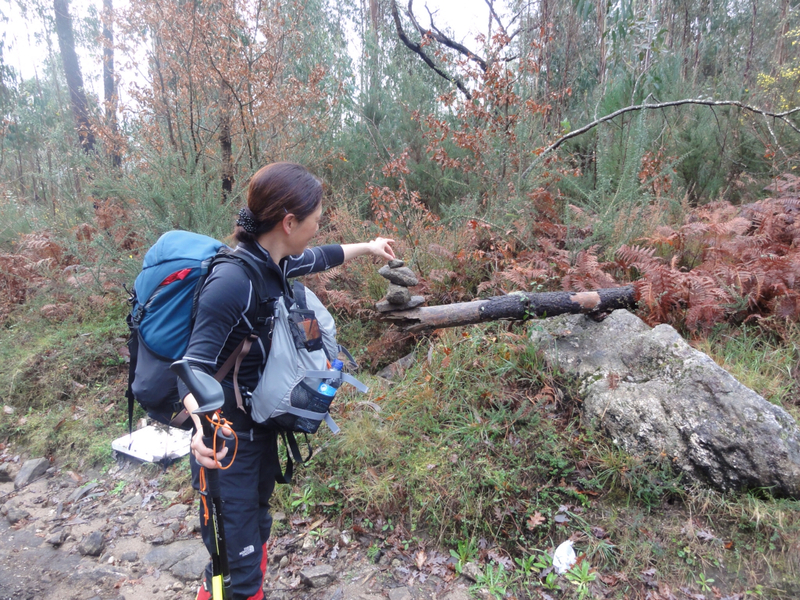 After lunch we gathered up our backpacks, and carry out bags, and the road show ambled off to the albergue,1 km away (uphill…always). We got settled in about 3:45, and the hospitalera has now just arrived (at 7:30). So far we are the only pilgrims here. A note to wine aficionados, back in Santiago I was introduced to a Galician red wine, Ribeira Sacra, which I think comes from the area around Ourense? (the bottle says Mencia denominacion de Orixe). It is a great wine and reasonably priced (3.5 euros). I mention this now because a bottle caught my eye at the supermarket, and I am now test driving it. The one I am getting pals with is from a bodega named Cimbro, and is bottled in Lugo (2011). It is very good. So rather than risk being cited for posting under the influence I shall sign off for tonight. 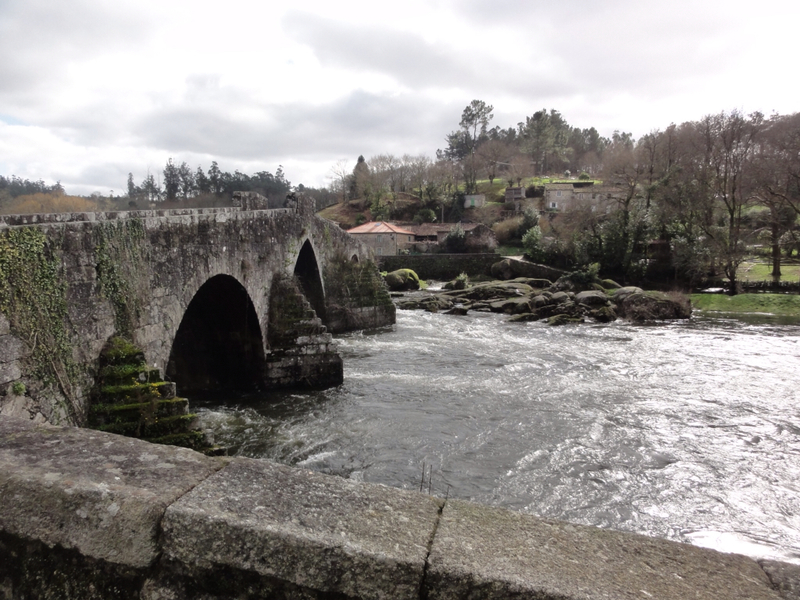 We are off to Olveiroa (33 kms) tomorrow. All is well (and getting better) in Negreira. Previous Previous post: Feb 5, 2013 Negreira, Good save!